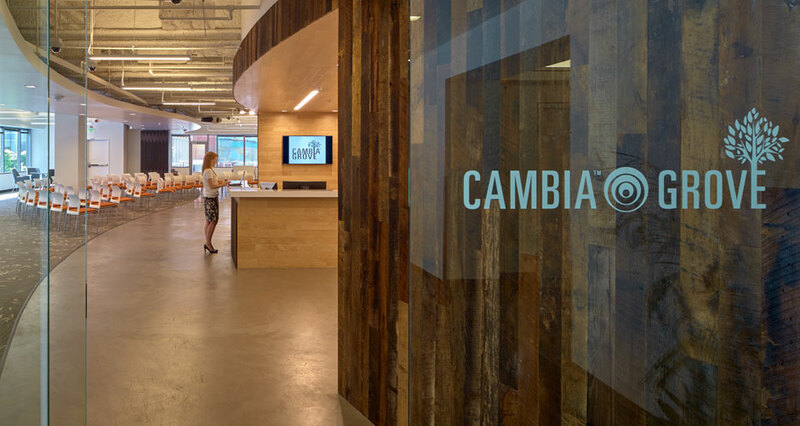 Cambia Health Solutions commissioned Mackenzie to design and implement a new workplace for its office at the 1800 building on 9th Avenue in Seattle, Washington. 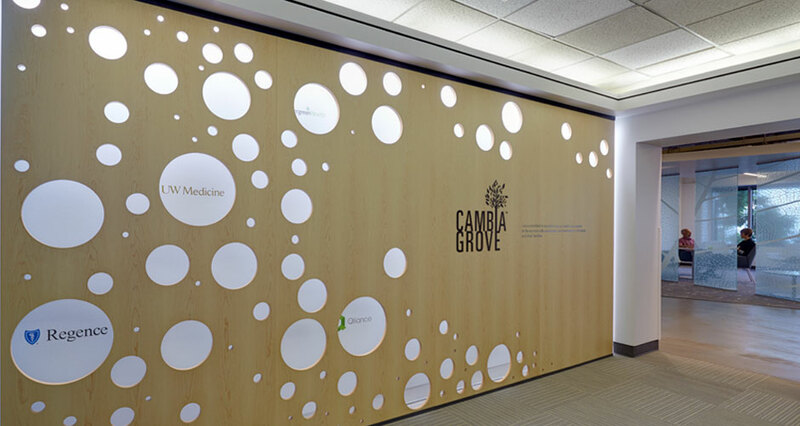 This involved taking a typical office environment and transforming it into a business incubator that inspires creative collaboration and problem-solving for the healthcare industry. 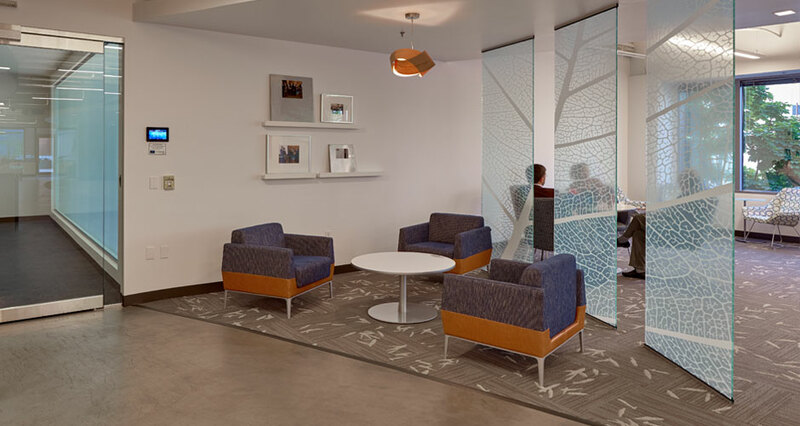 To make this happen, Mackenzie utilized an integrated design approach and their expertise in creative office design. 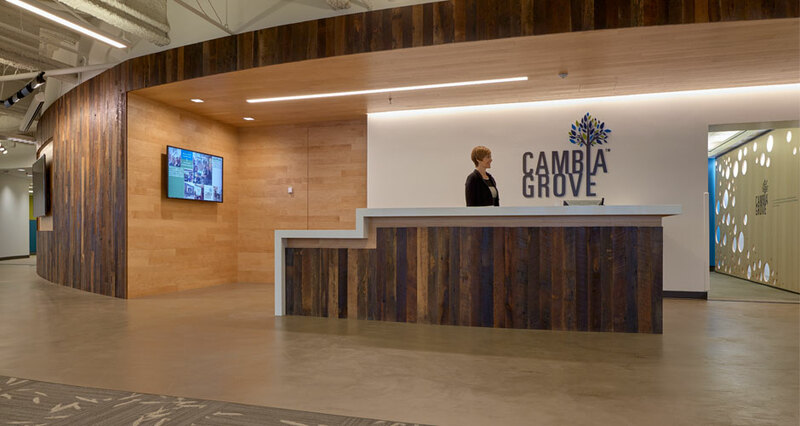 Mackenzie designed Cambia’s vision for the new 9,000 SF collaborative work environment through innovations in architecture, interior design, signage, branding, as well as specialized furniture. 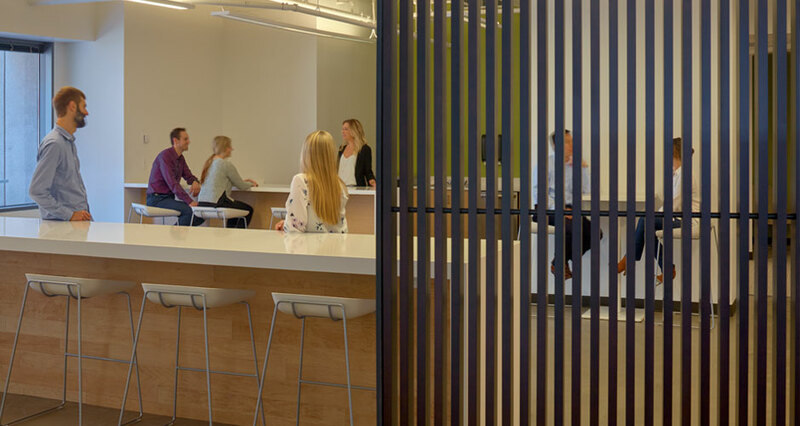 The space now encourages collaboration, innovation, networking and learning by offering multi-presentational event spaces, agile team meeting rooms, and flexible private offices that serve the greater Seattle health community. 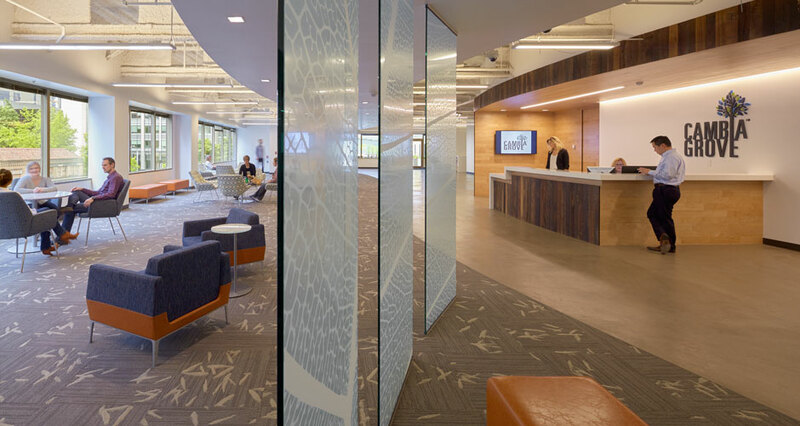 Design elements include curved pathways clad with Viridian's 100% reclaimed wood paneling, a multi-purpose work lounge with movable maple wood panels, that help separate the space as needed, and energy efficient linear pendant lighting. 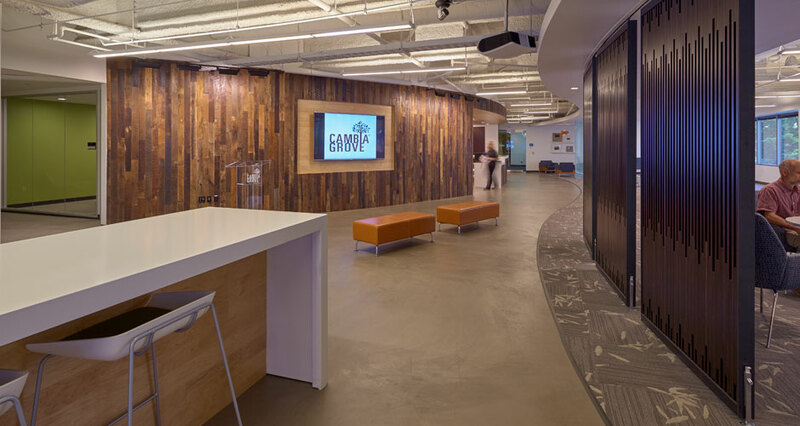 The main conference room, equipped with state-of-the-art video conferencing capabilities, contains a large conference table built from reclaimed wood sourced locally from Meyer Wells. 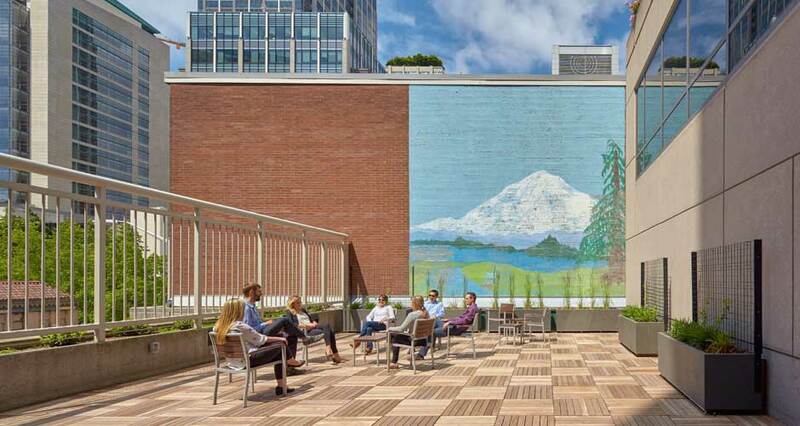 The high performance office space also includes an outdoor patio with additional lounge seating, terrace landscaping, and an existing mural aged to create a vintage appearance.